This is the podcast started by Jaquelle Crowe, the editor-in-chief of The Rebelution, and her dad. I started listening to it basically as soon as it came out, and it is by far my favorite podcast that I listen to. It makes me laugh, makes me think, and makes the drive to dance class (same route, there and back, four times a week…) much more interesting! 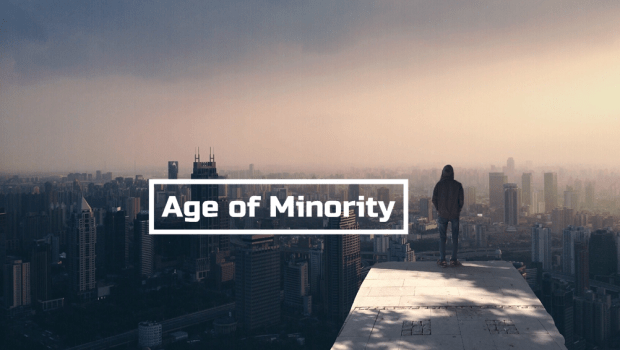 The Age of Minority Podcast is a podcast for young people about the gospel. Jaquelle and Sean talk about all things related to being a young person who is interested in having the gospel transform his or her life. Basically, it’s a podcast where a girl and her dad sit down and talk together about a wide range of topics that all relate to Christian teens. There’s plenty of fun involved too (conversations about food, anyone…?). A few prior episodes to give you an idea of the content: church, TV/movies, the Trinity, evangelism, reading, and the Sabbath. This podcast is the best. Everyone should listen to it. All jokes aside, this truly is my favorite podcast. Jaquelle and Sean talk about so many important topics and have tons of good things to say; each one is practical, inspirational, and truly helpful. There’s plenty of fun, random conversation and joking, but it never overtakes the real message of each podcast. There is always helpful, substantial content, coming from two people who really love the Lord and live for Him and want to help others do the same. I find the two of them so inspiring and always come away encouraged. And the fun, random stuff is what makes the podcast so special! The joking interaction between the two of them makes them relatable and proves that Christians don’t have to be solemn and sour-faced to talk about serious things. I often laugh out loud while driving down the street and I’m sure I look like an idiot to anyone who happens to be looking my direction. But I don’t care. This podcast should be a part of every single Christian teen’s life. You can listen to it while you do chores, or work out, or drive…basically you have no excuse not to. I think you will find it entertaining and encouraging. Have you listened to Age of Minority? If so, do you like it? If not, will you start listening to it? Let me know in the comments!